I managed to spend about 3 hours in the abandoned subway in Rochester, NY. It was an awesome place to visit, and a bit creepy in the darker areas. 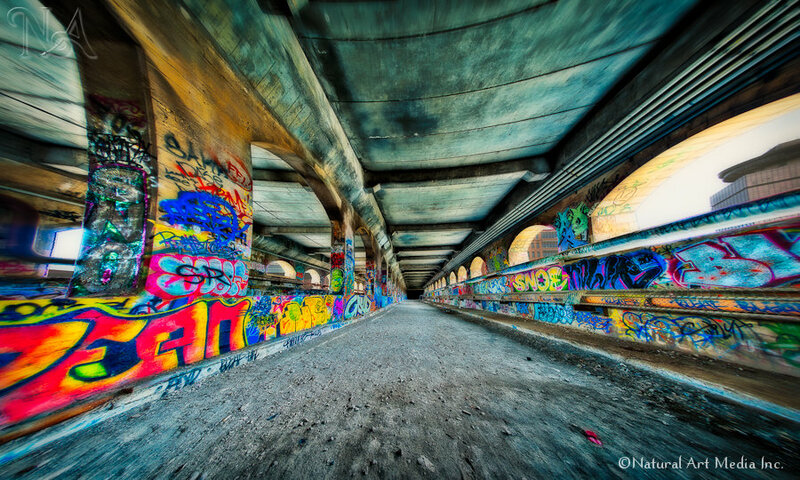 However, the part of the subway that runs over the Genesee River and under Broad Street was light, open, and full of graffiti. I jumped into the subway from the west end of the bridge and photographed as I traveled east and south to come up out of the subway near the Dinosaur Bar-B-Que on Court Street. There was a lot to see down there and I have a lot of images to review to select some good ones. I am glad I got to Rochester when I did – I understand from talking to a few of the construction workers I met while down here that the city is filling in the subway during renovation of the streets above.